When most people think of infidelity, they think of physical infidelity. There are many ways an individual can be unfaithful, though, including emotional infidelity. Emotional infidelity is highly common. In fact, the results of one study showed that 78.6 percent of men and 91.6 percent of women had admitted to an emotional affair at some point in their relationship. Is there a possibility that your partner is cheating emotionally? Are you unsure of the signs or how to address the issue without sacrificing your relationship? Read on to learn more about emotional cheating and how to handle it in your relationship. Physical affairs involve a partner engaging in sexual intimacy with another person. Emotional affairs often do not involve physical intimacy. Sometimes, the two people never meet in-person. Emotional affairs involve sharing intimate thoughts and feelings, often thoughts and feelings that are not shared with the person’s partner or spouse. Essentially, during an emotional affair, one person develops intimate feelings for someone besides their partner or spouse. They may even fall in love with that person. There’s no doubt that both physical and emotional affairs are devastating to a relationship. In many cases, though, people report feeling more upset by an emotional affair than a physical one. How do you determine whether your partner is actually having an emotional affair or has just struck up a strong friendship with another person? Are you being paranoid, or are they actually engaged in emotional infidelity? If an individual is engaged in an emotional affair, they will likely keep their relationship with the other person a secret. They might delete texts or emails or hide their phone from their partner. Deceipt involves intentionally deceiving one’s partner to prevent them from learning about the emotional affair. Lying about where you’ve been, where you’re going, or whom you’re speaking to is common during an emotional affair. Betrayal occurs when you begin to do things with someone else that you wouldn’t do with your partner. This might mean sharing information or important stories that you’ve never told your partner or engaging in activities you’ve never engaged in with your partner. Sometimes, emotional cheating can be harder to spot than physical cheating. The individual involved in the affair may be fully present physically. On the surface, everything might seem fine. Your partner is returning from work on time, participating in family activities, and seems generally happy. But, they might also be presenting some questionable behaviors you might not have noticed. Of course, one or two of these signs aren’t necessarily a guarantee that your partner is engaged in an emotional affair. But, if you notice several of these signs, they may be pointing to something more serious. If you find that your partner is engaged in an emotional affair, it’s easy to feel overwhelmed and unsure of what to do. Do you bring it up? Do you pretend it’s not happening? Do you need to end the relationship? It’s normal to feel angry or want to confront your partner in a dramatic way after you learn about an emotional affair. That’s typically not the best approach, though. Give yourself a day or two to let your emotions settle. Then, set aside time to speak to your partner privately. During the conversation, focus on your feelings and use “I” language so your partner doesn’t feel attacked or a need to get defensive. After talking to your partner, you’ll need to decide where you want to go from here. Do you want to continue the relationship, or do you want to part ways? 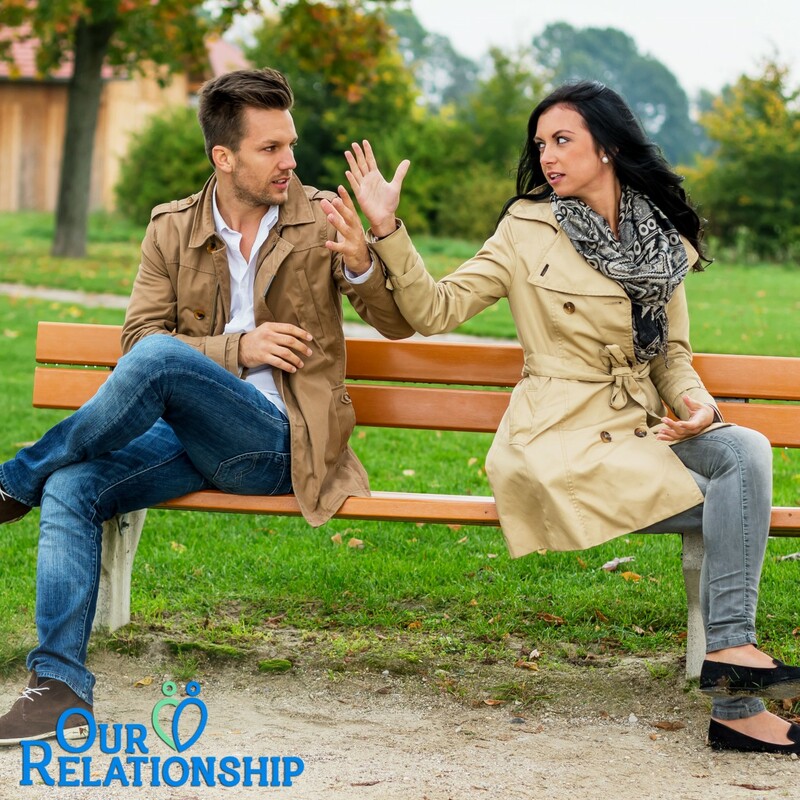 If you do decide that you want to save the relationship, consider working with a couples therapist. Whether you see a therapist online or in-person, they can help you identify the issues that led to the affair and strengthen your relationship. These aren’t the only safeguards against emotional infidelity, of course. But, they’re a good starting point. Do you suspect your partner of emotional cheating? Have you noticed signs of an emotional affair? If this is going on in your relationship, it can be hard to know where to turn to get the help you need. In many cases, though, couples counseling is the first step to repairing your relationship. Contact us at OurRelationship today to sign up for affordable online couples counseling. Our programs take place completely online and can be completed from the comfort of your own home. They are designed and proven to help couples improve their communication skills and solve their relationship problems.